There is a box on the dining room table. The box is a run-of-the-mill cardboard box, about 7 inches square. There are no shipping labels on the box, just a name, written in black Sharpie. The top flaps of the box are folded in an overlapping fashion, as I might have done with that box of stuffed animals I moved from my childhood bedroom to my college dorm. Because we are lazy people, the box is surrounded by stacks of my daughter’s clean laundry, a set of folded sheets, an unopened wine bottle that hasn’t yet found it’s home in the wine fridge, and some of my son’s school artwork. My father’s ashes are inside. I presume they are in a plastic bag, but I am not certain, because I’ve not mustered the courage to open the box. We’re taking our kids to Yellowstone National Park later this month. The last time I was there was the only time I was there, and it was part of a six-week road trip across the United States. I was ten or eleven, about my daughter’s age. My brother was a little younger than my son is now. 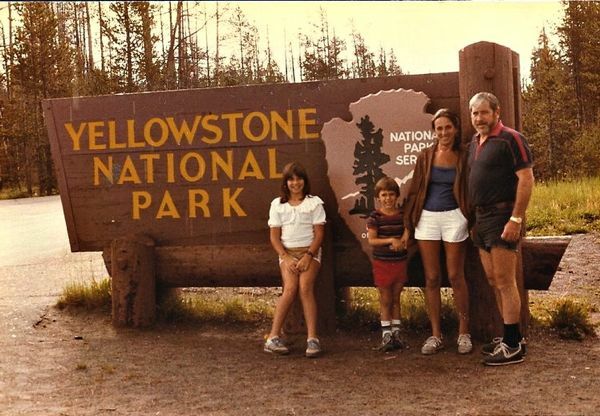 Two days before my father went into the hospital for his final stay, I told him that Sam and I were taking the kids to Yellowstone. He was the most lucid and alert he’d been in at least a month or two. He smiled, and his eyes held that twinkle that was so much a part of my father that it had become hard to see him without it. My father died nine days later. As he wished, we had his body cremated. His ashes now sit in a cardboard box on my dining room table. And for some silly and illogical reason – and I can almost hear him saying to me, “Merry Jennifer, be logical.” – I feel comforted whenever I think, Dad is in my dining room. Dad, or at least a part of him, is coming with our family to Yellowstone after all. He didn’t know he’d be traveling to one of his favorite places on this earth, one last time, but I think he’d be pleased. When the time is right, and in just the right spot, we’ll leave a bit of him there, to revel in the beauty of this country just a while longer. This ice cream recipe has nothing to do with my father. Mostly, I wanted to give you a sweet treat in exchange for reading one more post about my father. 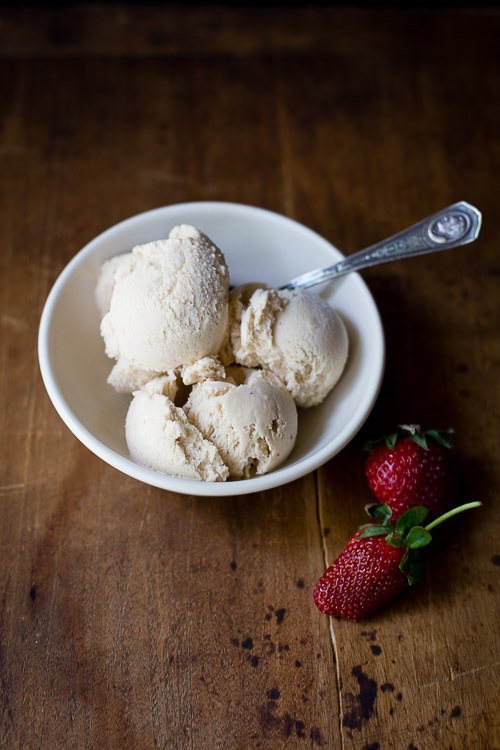 Dad loved ice cream, just like my husband loves ice cream, and this recipe would have been no exception. The flavors of the strawberry balsamic and black pepper are subtle, but they’re there, like that twinkle in my father’s eye. If you’re paying attention, you’ll notice. 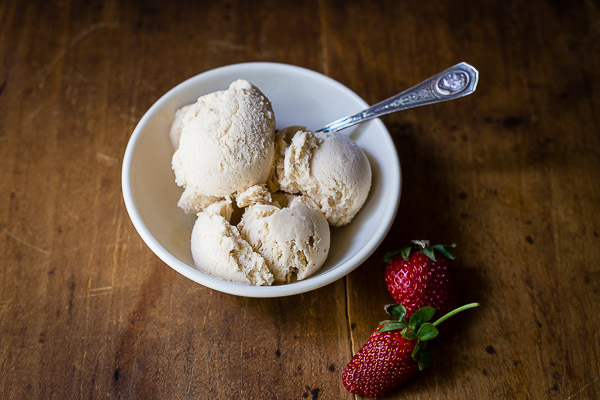 Ice cream can be intimidating, but it gets easier with practice. For me, an instant read thermometer makes the process so much easier and more reliable. I am a huge fan of the Thermapen . Place a 9-inch-square metal baking pan in freezer. Combine heavy cream, milk, 1/4 cup plus 2 tablespoons sugar, corn syrup, and salt in medium saucepan. Heat over medium-high heat, stirring occasionally, until mixture is steaming steadily and registers 175 degrees, 5 to 10 minutes. Remove saucepan from heat. While cream mixture heats, whisk yolks and remaining 1/4 cup sugar in bowl until smooth. Slowly whisk 1 cup heated cream mixture into egg yolk mixture. Return entire mixture to saucepan and cook over medium-low heat, stirring constantly, until mixture thickens and registers 180 degrees, 7 to 14 minutes. Stir in vanilla and remove from heat. Using a fine mesh strainer, carefully strain custard into a large bowl and let cool. Cover with plastic wrap and refrigerate overnight (or up to 24 hours). Stir strawberry balsamic and black pepper sauce into chilled custard. Transfer custard to ice-cream machine and churn according to your machine's instructions. Ice cream will be soft serve consistency. Scoop ice cream into the frozen baking pan and press plastic wrap on surface. Return to freezer until firm around edges, at least 1 hour. Transfer ice cream to airtight container, pressing firmly to remove any air pockets, and freeze until firm, at least 2 hours. 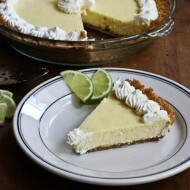 Adapted from this recipe from Cook's Illustrated, from July 1, 2011. Oh wow. 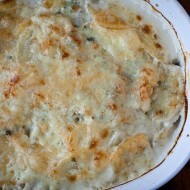 I sort of forgot about potatoes au gratin for a side…that sounds amazing with a steak dinner! Love my Thermapen but it is Red (faster than pink from what I hear 😉 ) If he gets tired of the pink color, they have something called “thermaskins” where you can customer design a perfectly fit “skin” to cover it. I think they were just $10 or so. Those au gratin potatoes sound delightful, especially with the fontina cheese. Good tip on the skin, but we’ve learned that pink really stands out in the drawer and amidst all the black, brown, and grey barbecue tools. Oh yes, I know exactly what you mean. Sometimes I feel so overwhelmed with all the choices for what to have for dinner that it feels like we don’t really have any choices at all. What a perfect answer to the question though – I can never turn down a potato gratin. I love dishes that can be prepped, made, and eaten all out of one dish. We do that with brussels, and this would definitely be one of them too. 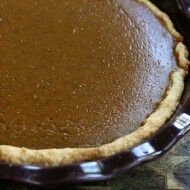 So comforting and homey and delicious! What a decadent meal… sometimes it’s just what we need. I go through phases of the same debate and inertia. Usually taking a few days away from the “must do” kitchen duties and meals is all I need to motivate me once again! We are so fortunate to have endless choices of food items to cook with everyday–many are not. On this cold, rainy day the lush potatoes au gratin would make a perfect compliment to the chicken roasting in the oven for tonight’s dinner! I love cooking steaks in my cast iron! There is no other way in my house. And your potatoes look so good. They might be on the weekend menu. These potatoes look great! I would probably be happy just eating a big plate of them for dinner 🙂 I’m looking forward to meeting you at BSP! I didn’t even make it to the potatoes! I am visiting your blog for the first time today and when I saw your favorite vacation spot, I knew I was in the right place! We love Seaside! We usually stay in a townhouse in Blue Mountain Beach and go to Seaside for ice cream after dinner at the Red Bar! It’s funny how you can feel like you know someone just by sharing a favorite vacation spot! I’ll go back and read the potatoe recipe now and I’m sure this won’t be my last visit to your site. I am a lover of the potato and this is one of my favorite dishes! Thanks for feeding me today – I needed it!